Good morning, we are here. Give us a moment. It is October the 8th 2014, Full Moon in Aries, and we are sitting under the Pleiades in the open air with Orion and Sirius on the horizon above our head and the moon just now in full eclipse –– red moon in Aries. Let us begin. There is the red moon in Aries, Aries is Mars the red planet and the idea that it’s very masculine, very forceful, the god of war, and yet it is happening during this balance point –– balancing war. What balances war? Peace, peace, and the idea that you are coming up on an election soon and that this is a chance to do some more balancing within the United States. And it isn’t a balancing between the ideological Democrats and Republicans that is not what we’re talking about. It is the balance of the population being taken into account. You are not just a country of one race, one creed, one color, you are a country of mixed and the balance has been far too long for one grouping and now you are going to begin to see those other groupings exerting their influence. Years ago our vehicle was in a bar and the waitress had come up with a tray of drinks and thinking he was being helpful he picked two drinks up off of the tray, now those waitresses among you are probably freaking out right now because the tray started to go into unbalanced mode and it started to fall, and our vehicle was quick on his feet and he put the drinks right back and everything went back to balance because the waitress knew how to shift the drinks when she was taking one off. She would shift the drinks and take one off, and shift the drinks, and take one off. And that’s what’s going on right now. Your government, particularly Obama is trying to figure out how to get the drinks off of the tray without tipping the tray, and that is why he is not just willy-nilly doing all kinds of crazy things that many people would like, “Oh, Obama should be doing this, should be doing that if he’s true to his ideological convictions.” But he’s also a smart man, he knows it would not help to destabilize the entire country as many who would act in pure ideological would do. And, so imagine that, imagine someone knowing, smart enough to know what balance is, smart enough to know how to shift and change to get the drinks off the tray without spilling everything. And now imagine a competition between waitresses to see who could put things on the tray and take them off fastest. Imagine a competition of the best waitresses out there, waiters too, we don’t mean to be sexist. Now imagine you do this competition and you find the person, who is really the best, we would suggest that is your President. So think about that. We are not going to go into the lax(s) of the Secret Service, we’re not going into the idea that he’s following the pattern of Abraham Lincoln too much, but it always bothered our vehicle that the guard at the booth in the theater, Ford’s Theater was not at his post. And how did these people get so close, how did this man get into the residence? Makes you wonder, but also know that that’s part of the balancing. Remember what we said, “You are going to begin to know things, things are going to come out, information, and so have your wits about you, have your wits about you. Because it is all a question now of how to get the drinks off the tray without tipping it, be easy to just rip them all off and watch the drinks just go all over the floor, but do you really want to clean up that mess? No, no, would not be easy to clean up that mess. Look at an oil spill, look at the Gulf oil spill. It would have been so much easier if they could’ve just stopped that thing from ever blowing out in the first place and they could have, a stitch in time would have fixed that, but Halliburton people were already brought out, but what did they do. They used inferior techniques and inferior materials because they really didn’t care, but now you’re going to see people caring, that’s part of what this moon is about, people stepping up and beginning to care, getting out of that lethargy that they’ve been into for the last few years. And so see that happening, see that happening in your own point of view where you’re beginning to wake up and stop being lethargic, if you are. We’re not saying all of you are but many of you are, and then see it happening in your neighborhood, see it happening among your friends, see it happening among your neighbors. See people really beginning to not only wake up but speak up to voice their concerns, to voice their opinions. It’s time for those of you who can see that the Emperor has no clothes, those who have been telling you untruths, you will now be able more than ever to see them and Aries is calling you to act. This conjunction with the Aries that is going on with the moon and the earth right now is very powerful, very powerful red energies. What is a red energy? What does that mean? What does the red spectrum due to water? Go look it up, you’ll be surprised to know what infrareds can do to water, and here you are a big ball of water. Many of you are watching what’s going on in the Mideast and we would suggest that the United States has done more moderate military maneuvers there, military intervention there, they didn’t come in with armies and boots on the ground like some people wanted because that is an escalation that would be hard to de-escalate. And this grouping out there is not so big, no need to go over the top. So see yourself waking up, see your neighborhood waking up, but also waking up and getting your wits about you before you act. How many of you have woken up so quickly and then stepped around and maybe fallen on something on the floor or didn’t realize you had something connected to you and you tripped because you didn’t take the time? Happened to our vehicle once many years ago when he was in England, he was sleeping on a rock and he was awoken very quickly and he took a step and fell into a thicket of bushes, thorny bushes and sliced his wrist that day. All he had to do was take a few extra moments to just not move and wake up and he would’ve seen that he was about to step into that bush. So take the time to wake up before you move, but also be ready to move, be ready to take action, be ready to use those Aries energies to follow your passions, to follow your intellect and your belly. It’s not one or the other. Now our vehicle wants to watch the moon so we must let him go. It has been our pleasure, good day to all of you. Its been really hard for me. What can set me in balance is a blueeyed pleiadian girlfriend. As an astrologer, I will testify there have been many pivot points within the last few years. I like the analogy of a dance with pivots – it got me thinking about dips, and turns, and all the intricacies of dance in relation to life. Nice to read something comical for a change. After all, Pleiadians are masterful jokers too. That’s why I enjoy Kryon so much, his sarcasm is entertaining to me. Not trying to tell people how to comment, just my 2 cents. Laughter is healing and it reminds me of how easily I can get drawn in to the depressing seriousness of it all. To be able to laugh in the face of perceived unimportant “reality” is a game changer for me. Why can’t I remember that when I’m a stressed out and in debt and a crumbling human? Hmm. Guess that’s why I live in Colorado. (what am I saying? …my Pleiadian wife does!). She’d probably be laughing all the time – at me. But I’d sure like to experience it for a weekend though. Though I suppose I have this lifetime to experience current humanity with my wife… the pain, the anger, the love, the happiness, all the human qualities one could ask to experience… especially frustration. hmm not so funny anymore… wait… getting to serious again. 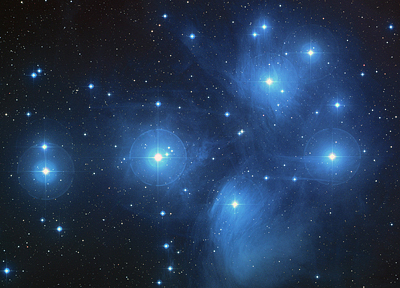 on another note… where do I find Pleiadian VRBO classifieds? Craigslist has nothing. Interesting. Four months ago I had no idea who pleidains, reptilians or the galactic council were. Our company needed a minute taker for an evening and several days before hand a business card offering temp services called “Star Solutions” showed up on my desk for no apparent reason. When I was told we needed a minute taker at the last minute I acknowledged the meaningful coincidence of that card and called the number. My encounter was with a very intelligent middle aged woman who after completing her temp duties I had an enlightening conversation , where she told me she was pleidian and channelled spirit. She told me I was also Pledian. This experience was hugely uplifting and I have since been searching avidly for any information regarding pleidians and the fact that earth and spirituality as I believed it to exist was so much more than I had been aware of. I found this site and these podcasts very interesting and the insight positive. However This latest podcast that I have read does not resonate entirely as a neutral and spiritual message. I am a little disturbed to read the references to American politics and the two major parties mentioned. The channelling also refers to Obama and how he is the one who they believe know s best. I can not argue with that as I am from a country called New Zealand and do not have a great knowledge of American politics. However this disturbs me. Shouldn’t these messages be politically neutral. When this type of message occurs on a site like this I have a concern for the agenda from where it has originated from. I would not have thought that a true channelling from the pleidiaes would come with political comments and recommendations. Apart from this one post I have seen truth in the lessons. this one is a little out of the box you might say. Please, I would be interested in others thoughts on this. Sue E are you blueeyed? Take from each of your experiences–including these podcasts and what I am now suggesting to you–whatever works for you, and leave the rest behind. Dear Sue,… Thank you for your sharing of your thoughts/feelings/experience and your concerns. utter with lemon, or whatever very special food/experience is on your plate. And think, you may have taken it right OFF your plate at some point in your lifetimes. Tough to give something a TRY if you don’t know if it exist or not. When U quite your mind and stop your thoughts, you allow the universe to flow through you. Just breath and listen. Then you will begin to heighten the senses you are aware of,…and discover more about them,…as well as discover the senses,… your senses, you never believed existed. Aware or not, we channel what and who we resonate with,…unconsciously or consciously,…so think how things in life can change with this SHIFT of consciousness/awareness. A knowing of the essence of our inexplicable interconnection with all life energy at every level possible. Sounds like a dream. Who was it that said,..”Life is but a dream.”…? This channeler on this sight, I believe resonates with the people and the planet and not the 1% of the economic elite who live in oblivion to the plight of our world. In Wiccan practice as well as other shamanic practice, we learn to ‘visualize’ for different mental exercises. Kind of like ‘Magic 101’. I believe this channeler helps us understand that we can and do affect the flow of the ‘out comes’ on our planet with just thought and feeling. Thoughts and feelings that have an effect even if they are not expressed in FORM by the one ….who thinks this thought popped out of his head only and that it was his or hers exclusively. Because it supports the actions and reasoning of those actions of those who carry them out. It’s SHARED ENERGY. It all depends now on what you choose to RESONATE with. I’m not into politics, but I pay attention so I am AWARE of what is on our collective plate. Mr. Obama has a tough job and his life has literally been dedicated to community and people, check out his history. He’s worked hard and has taken on the hardest job I can think of, next to Nursing of coarse. I’m no Democrat or Republican, but am aware of the sad state of our senate and that there are some Democrats playing the Republican/Elite Game. I envision a better future as does our president, as human and imperfect as he is, surviving the role of President of the USA,…I didn’t choose to be born here,….or maybe I did. It’s all about where you are and taking care of your neighbors and ultimately our world ,…right.? Thank you gentlemen for your responses. Firstly Dev, ……yes I am blue eyed….and??? David…. yes you did choose to be born here and thank you for your thoughts. I am still not convinced that political recommendations should be part of a spiritual message, however I hear you. Your response and thought provoking message is well expressed and I resonate fully with the other points you make. Thanks guys love the feedback its always good to toss round different perspectives. Soul food! and….ive got some updated channeling signals and radiowaves from Pleiades for you.Can I have your email address Sue E? I love reading these messages and will continue to do that. I have found that a lot resonates with me, but also that I disagree with some parts of some messages, or feel that crucial information is left out. However, I enjoy them a lot, and as Michael said, I take what works for me, and leave the rest behind. I look on other websites for information that isn’t offered here. Blessings and love and light to all !